It is amazing how a bit of exercise can get me in the greatest mood. Though there was frost glittering on the grass, I pulled on my running gear and hit the roads this morning. Not very early this morning, I’ll admit, but it felt so good. The cold air burning my throat, my feet against the road. When I got down to the lake the mist still hadn’t burned off and the water was completely shrouded. Mist is a strange thing- you’re never within it but always looking at, approaching. When we were driving back from Oregon, the mist clung to everything. Fog perhaps more than mist, and the fields seemed to belong more in Ireland than on the West Coast. Maybe it’s over romanticism to assume fog belongs in Ireland, or along moors covered in heather, with crumbling stone houses and sheep. I’ve never been somewhere like that, but I can imagine it. And then I feel the need to travel, to pack everything into a bag and just depart. After my run I came home and sat down to my galleys, finally emailed by Finishing Line Press. I am too controlling, and the low quality pdf, for ease of emailing, is frustrating for me. I want to see the text as it will appear, the kerning issues sorted. I should trust them at their job, but I’m worried. I just want to craft something beautiful, and I think I need to find a way to make my own books. I’m thankful for the publishing opportunity but I can’t say the path has been smooth. I need too much control and I’m sure it’s as frustrating to work with me as it is for me to work with someone else. Oh books. Oh joy books! They exist, and that makes me happy. Here are some I am particularly fond of lately. Cartography of Birds. It’s lovely, and the I emailed the author to tell her so. She wrote me back with a very kind email. People amaze me. Take a look at her book if you get a chance. The first poem is breathtaking. I was going to write my academic writing sample as an in-depth analysis of her text, but I decided I’d rather enjoy it than dissect it. Second book I don’t have an image of. Notes of a Course of Nine Lectures on Light. It’s from 1870, and still has phrases about the humours in the eye, and spells reflection “reflexion”. 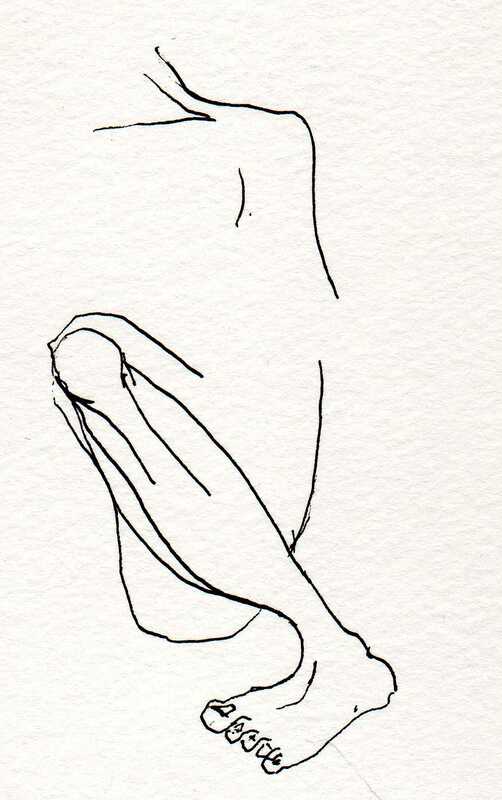 There are some intriguing experiments using water with black ink and I’m working on a series of poetry using these experiments. Best thing: run your fingers down the page. You can feel where the typeset pressed into the page. I’m seriously considering “losing” this book and paying the library, but I know that no one else will find it as useful as I have then. I’m not sure. It’s from the science library, and as some of the facts are inaccurate, maybe it’ll be okay. I have a while to figure out what I’m doing. And the final selection! Fossil Sky. 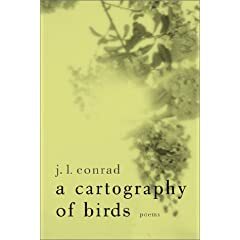 This is a book/poem/map. When I decided not to write about “a cartography of birds” I decided to write about this. 54 square inch page, with the poem meandering about within the circle spread on the page. It was actually a fun project. I read into maps, the theory behind maps, the graphic design of maps, and most importantly, how we read maps. 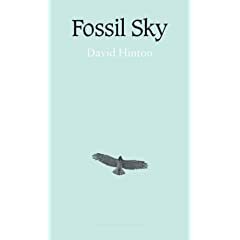 The paper tries to show how Fossil Sky must be read as a map and all preconceived notions on reading poetry have to be left behind when attempting this text. The best part about it: I had previously thought that Fossil Sky failed as a project. But in digging deeper into it, and approaching it as a map rather than a standard poem (ie on its own terms instead of the ones I forced onto it) I think it’s quite successful. Thanks University of Denver, for requiring an academic sample. This might have remained a cool but unused and unread book/text/poem/map in my collection, and that would be sad thing indeed.